Tue., June 26, 2018, 8:38 a.m.
MADISON, Wis. – Wisconsin Gov. Scott Walker’s full-throttled love of Harley-Davidson motorcycles has been intertwined with his rising political career, but now he must navigate revved up criticism of the Milwaukee-based company from President Donald Trump. Trump was referring to tariffs Harley-Davidson would face on motorcycles produced overseas and shipped back to the U.S. for sale. Walker has avoided directly criticizing Trump on the issue, repeatedly saying instead that no tariffs would be good for Wisconsin manufacturers and farmers. He hasn’t spelled out what he would do to further that policy and his spokeswoman repeated that same position Tuesday when asked to react to Trump’s tweets. 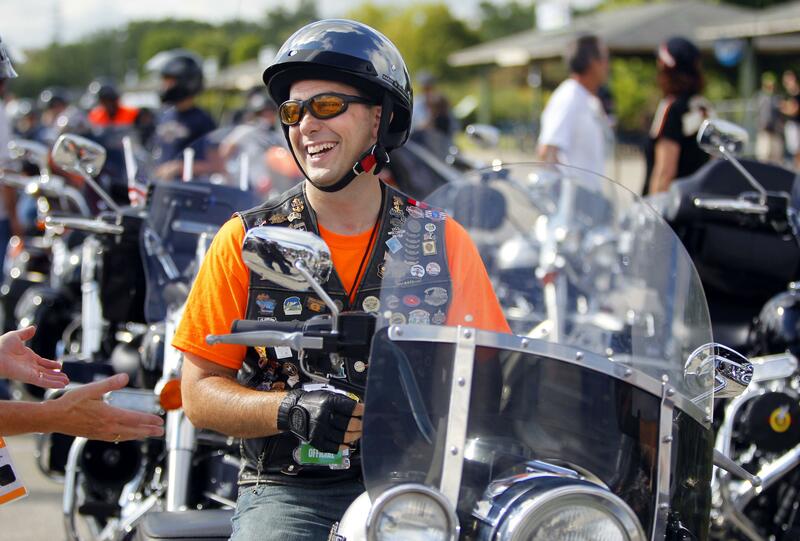 Walker and Trump made amends, and the governor last year invited the president to take a ride on a Harley after he canceled a visit to the company’s headquarters. Harley executives later traveled to Washington for a meeting with Trump, who said they told him of the difficulty they faced selling motorcycles abroad. Harley has also long lobbied against retaliatory tariffs, saying they put the company at a competitive disadvantage. Harley said Monday it came to its decision to move some production overseas because of retaliatory tariffs it faces in an escalating trade dispute between the U.S. and the European Union. Trump denied Tuesday that his trade policy was to blame for Harley’s decision. Trump will get a chance to comment on the situation in Wisconsin on Thursday, when he joins Walker for the groundbreaking of a Foxconn Technology Group factory 30 miles south of Milwaukee, where Harley is based. The event was supposed to be a chance for Walker to highlight the Taiwanese company’s plans to invest up to $10 billion in the state and create 13,000 jobs. Published: June 26, 2018, 8:38 a.m.